GHOST ROCKETS is a series 12 rocket launch spectacles occurring in 12 months at different sites around the world tactically mapping the history of ballistics: from the birth of military rocketry in Europe through MIT laboratories and the NASA space program to US Military bases in the desert and DARPA research stations in the Arctic. 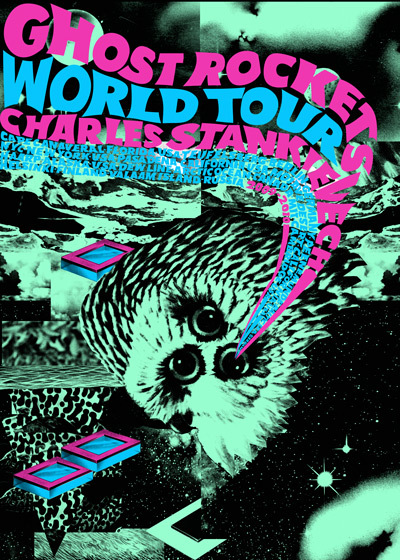 Adapting the form of a rock’n roll world tour, each site is paired with a pop song which inspires a choreography involving amplified sound on location, smoke grenades, lighting effects, and utlimately the rocket launch. The launches are sometimes presented as a publically accessible events but when at remote or high-risk security locations, a guerrilla interventionist strategy is enforced. 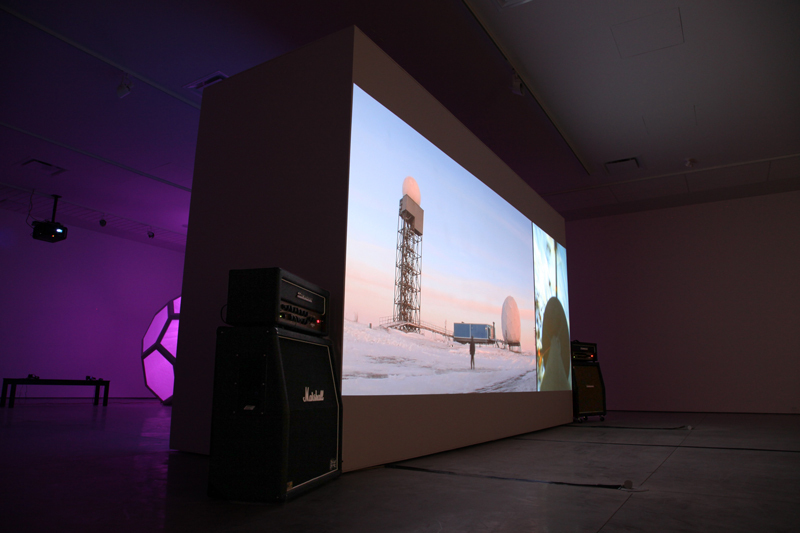 A counterpoint to Stankievech's The DEW Project (a field work concerned with the birth of missile defense infrastructure), Ghost Rockets targets the relationships between speed, surveillance and spectacle as much as exploring the concepts of gravity and transcedence. Each launch results in artifacts called talismans which function as satellite objects to the launches providing esoteric conceptual navigation. The talismans range from scorched launch pads and ignition Zippos to space crystals and meteorites. Some of the Launches are in collaboration with local artists. Catalogue forthcoming from SAAG and Foreman Gallery. Hole in the Sky | HAARP US Air Force Ionospheric Research Observatory, Alaska, USA | October 9. 2009. Purple Haze (A-side) | BAR-3 DEW Line Radar Station, Arctic Ocean, Canada | with Lance Blomgren | December 31, 2009. Purple Haze (B-side) | BAR-3 DEW Line Radar Station, Arctic Ocean, Canada | January 30, 2010.